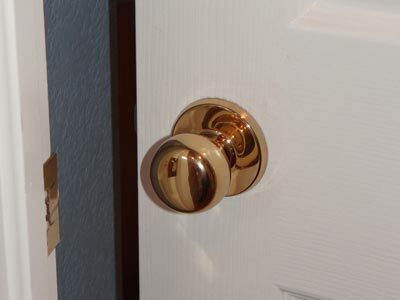 Nothing says outdated like shiny brass door knobs. I had them on every door in my house and desperately wanted a more modern look. But have you ever priced door knobs? Holy cow, those babies aren’t cheap. I was shocked! So I went in search of a more cost-effective way to update my knobs. 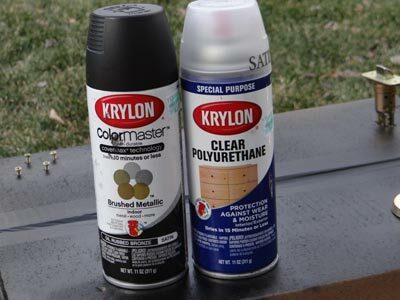 Enter: spray paint! Here’s how I did it. 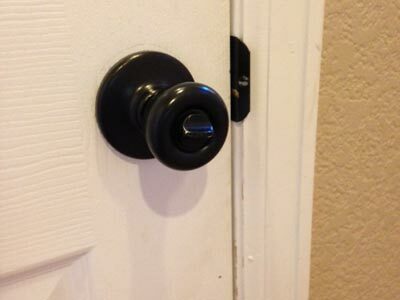 Remove the knobs from the door, including the plate that attaches to the door frame. Spray in large strokes, being sure to hit the underside of the knobs as well. You’ll probably need at least two coats. Allow to dry thoroughly between each coat (15-30 minutes on a sunny day). When satisfied with the color coverage, spray all over with clear coat to seal. Allow to dry thoroughly. Replace knob and plate and marvel at how great your knobs look. Check it out. 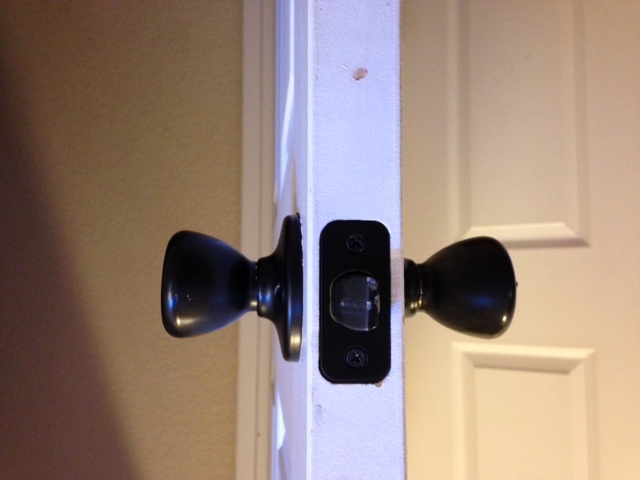 We are super excited to have been able to update all of our door hardware for a fraction of the cost of new. This works on cabinetry knobs as well.